There's a boom (or boomlet anyway) in Irish crime fiction lately. 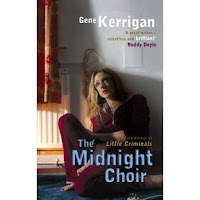 I reviewed Gene Kerrigan's wonderful Little Criminals a while ago, and I just finished his Midnight Choir, which is a great book--not as much fun as the first novel, but deeper. More on that in a minute. The noir-est Irish crime writer up to now was Vincent Banville, whose detective-on-the-edge novels have just been joined by his brother John's first crime novel (written under a pseudonym, Benjamin Black). There are also two novels (very bloody, I hear) by the playwright Declan Hughes. There are some others, too, that I'll get to sooner or later (as well as the excellent John Brady, whose novels are a bit less noir than the current crop). 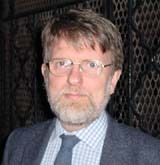 Midnight Choir is structured much like Little Criminals: there is an incident that serves as a frame, with intro and coda for the novel as a whole; events and phrases pop up with no explanation but are brought into the reader's knowledge of what's going on gradually; there are numerous strands of the plot that come together only gradually. In Midnight Choir, the character development is accomplished so carefully and gradually that the portraits of several key characters are only complete at the very end. In fact, the whole novel is more an examination of character than of incident. The process that the author leads us through is carefully and skillfully constructed and the language is straightforward but doesn't give away much. Much of what's going on is between the lines, and that indirection makes the awful concluding events less shocking than inevitable (events that in less skilful hands would be shocking indeed, even repulsive). Few crime novels are as well written as this, and few as ambitious in scope and depth. On Irish noir, I just read Borderlands by Brian McGilloway (see review on euro crime) which I hope you will like as much as I did. A great new talent, I think. I haven't read Kerrigan yet but have bookmarked your last review, looking forward to doing so soon. 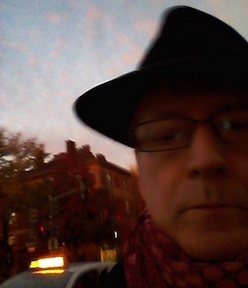 Yes, Declan Hughes's two books are gripping Grand Guignol. Very well executed -- he's a seasoned playwright and does sparkling dialogue -- but heavy on the ketchup. Hugo Hamilton's Headbanger (1996) and Colin Bateman's Divorcing Jack (1995) are well worth reading. Just finished "Midnight Choir" and really enjoyed it and yes, the ending was pretty shocking. I just ordered Kerrigan's first. I also am waiting for a copy of Borderlands to show up in the States - these 7-8 pound UK postage charges takes it's toll. I have heard great things about it.